Will this work with formula the one ? Unfortunately as we have never sold Formula brakes we're not familiar with what fittings they use, the image of this kit shows everything that is included so if the fittings look correct then it should be okay. 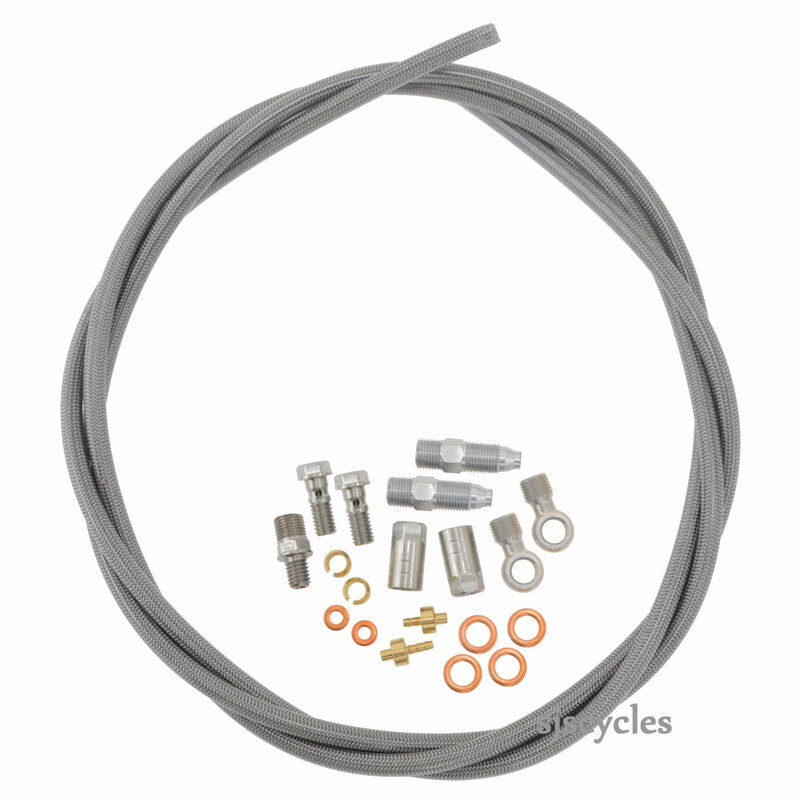 I'm afraid not, this is a kit to either convert your brakes for use with a braided hose or replace a damaged braided hose. Each kit is specific to a few different brakes depending on the fittings they use. If you let us know which brake it is you have we can recommend the required kit.